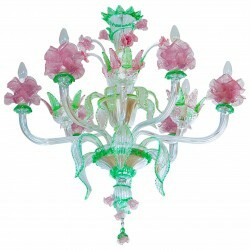 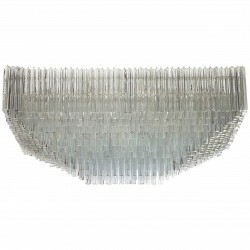 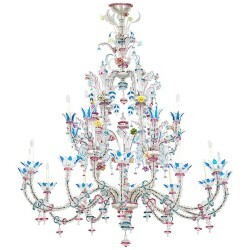 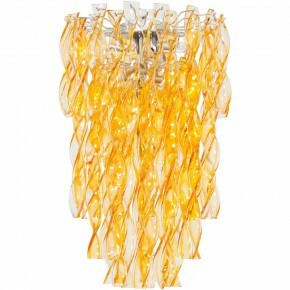 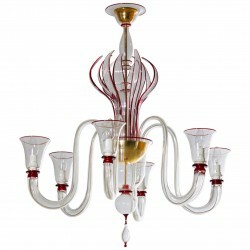 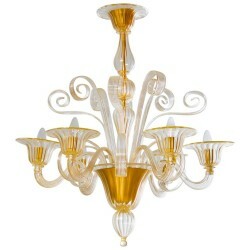 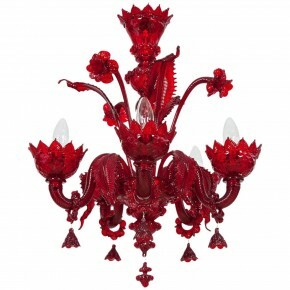 Pair of rare and amazing Italian Murano Glass "Picasso" sculptures Chandelier in the style of Cenedese around 1960s. 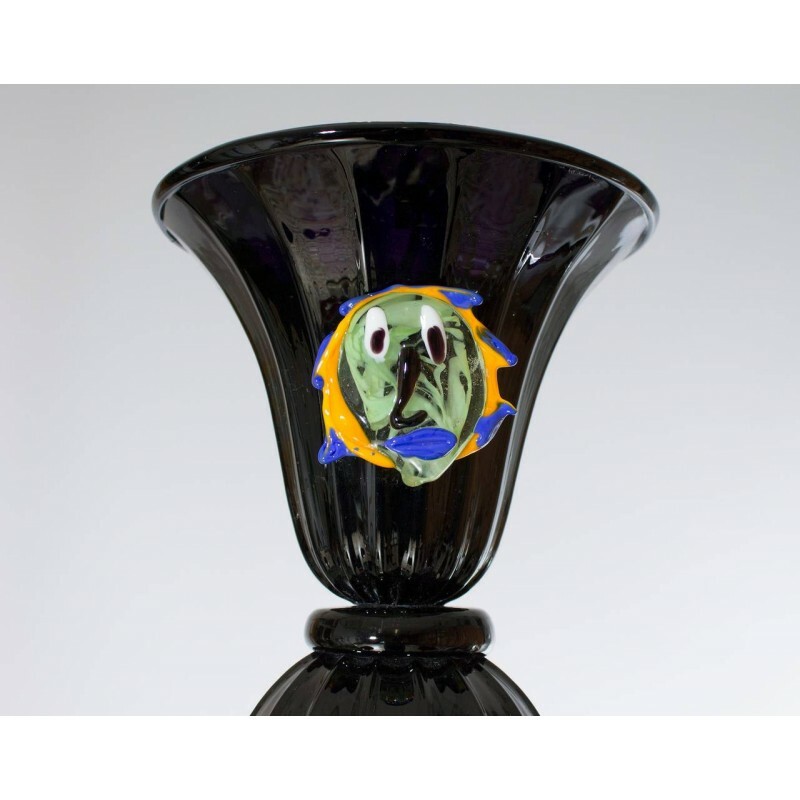 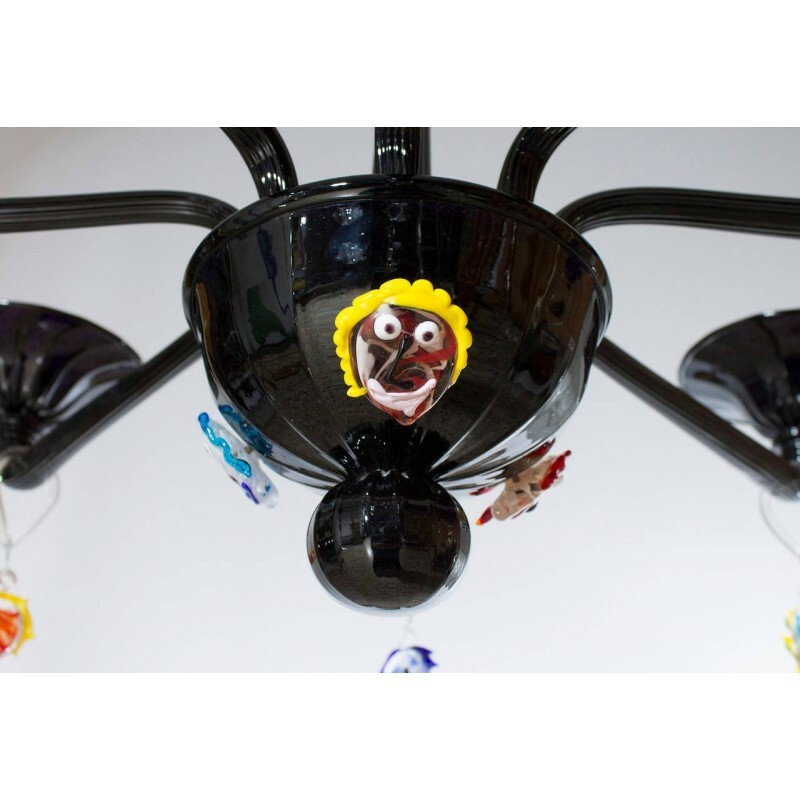 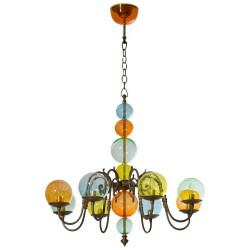 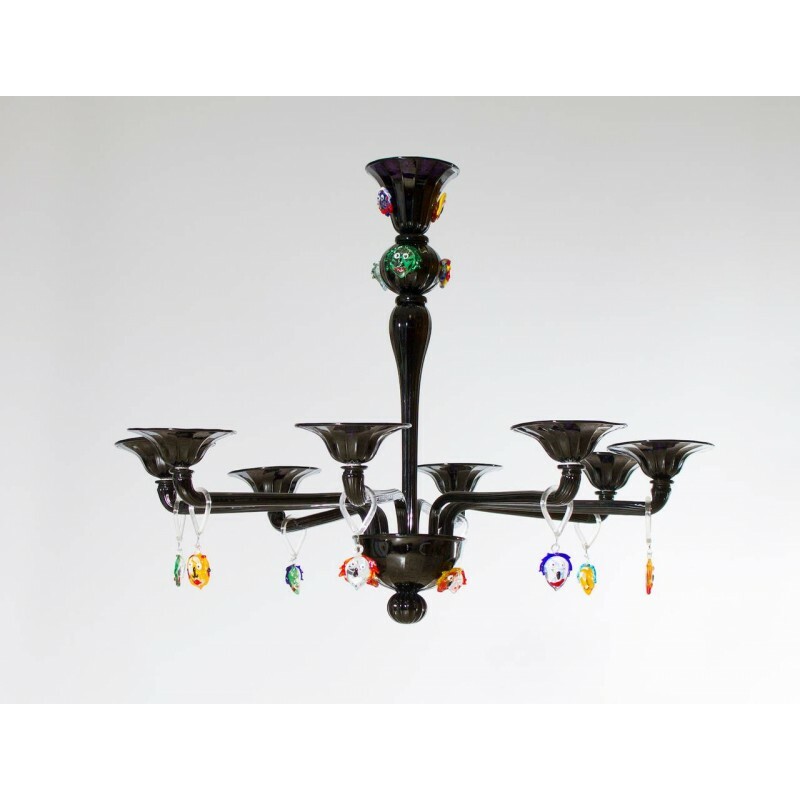 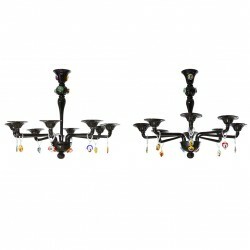 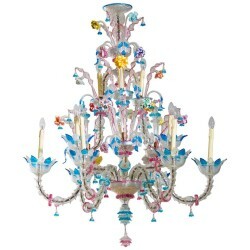 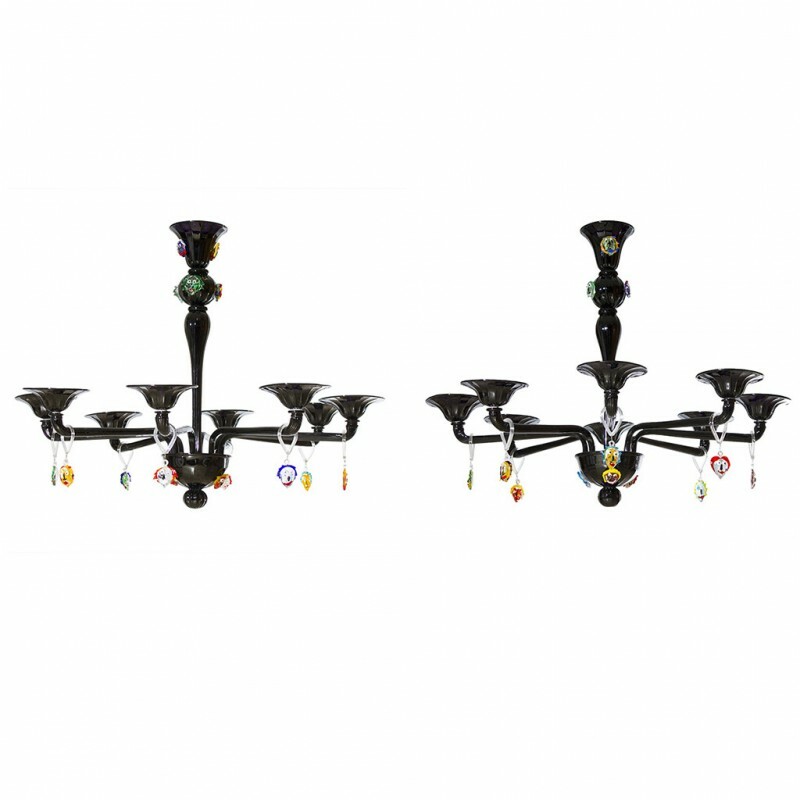 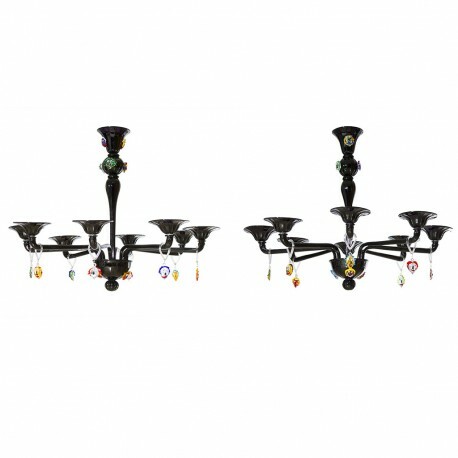 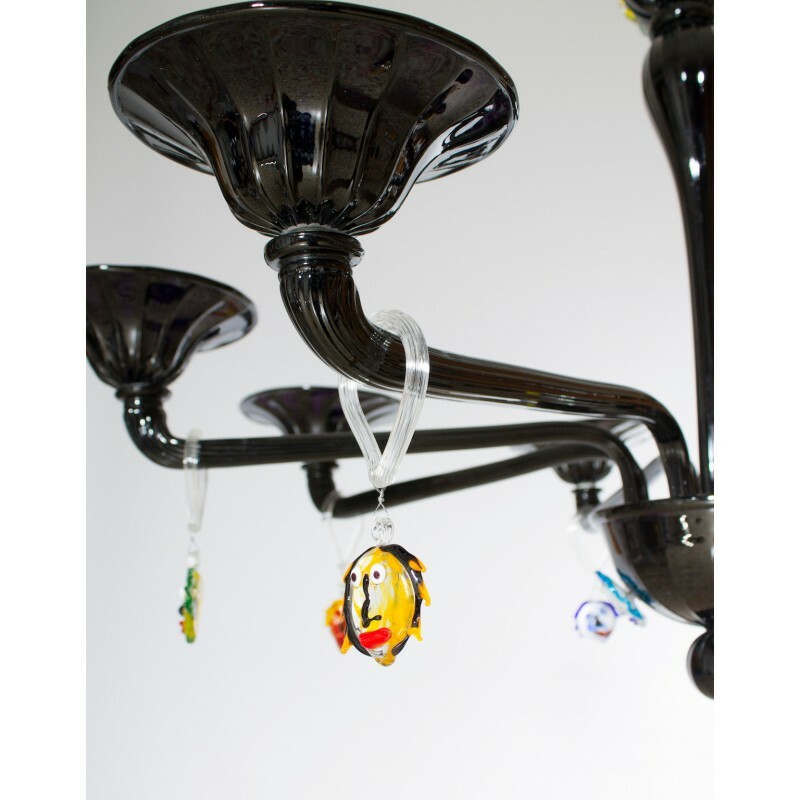 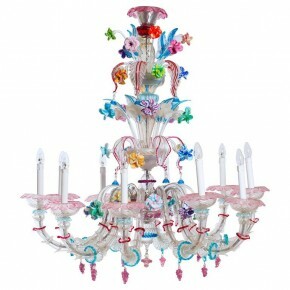 Pair of rare and amazing black and multicolor Italian Murano Glass "Picasso" sculptures Chandelier. 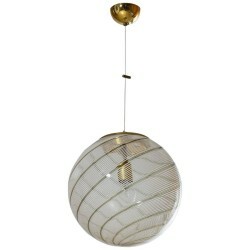 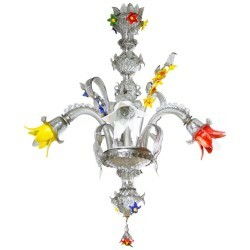 In excellent, original condition, in the style of Cenedese circa 1960s. 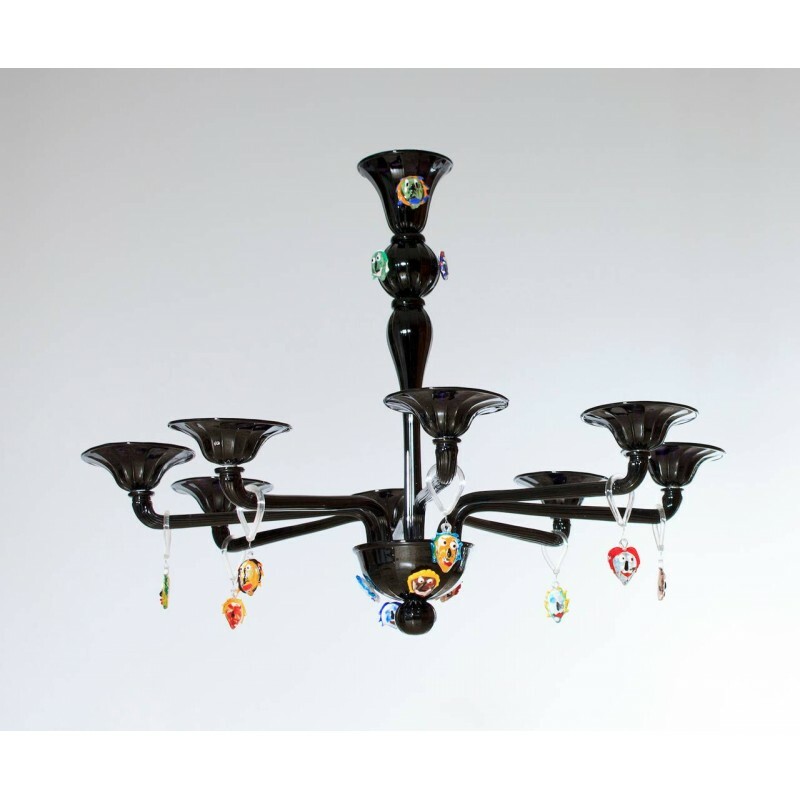 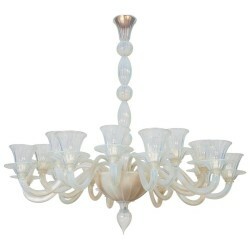 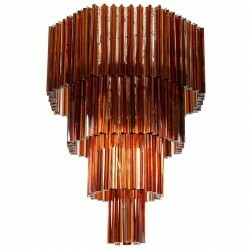 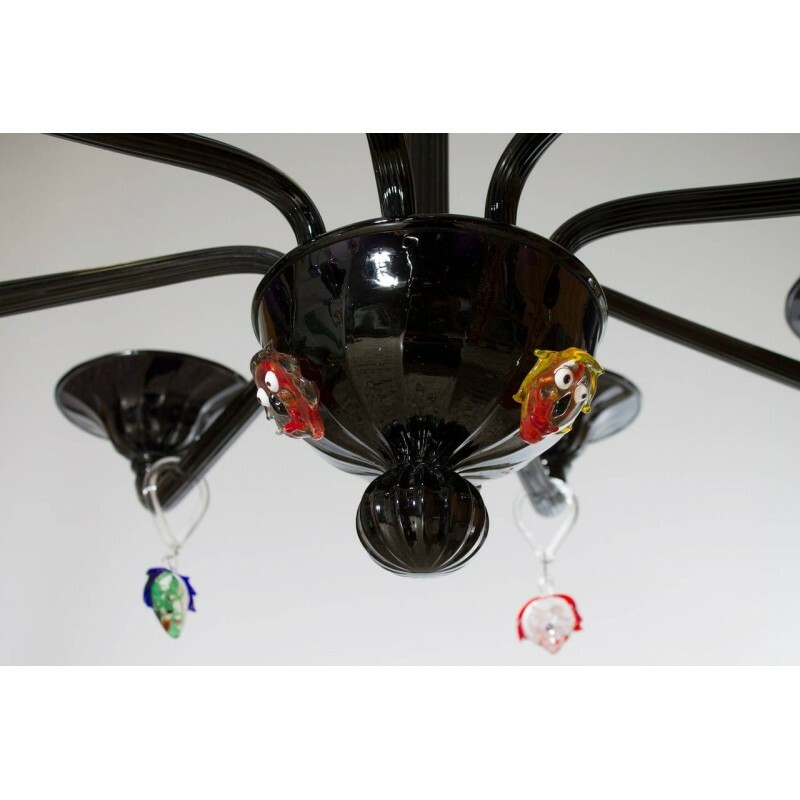 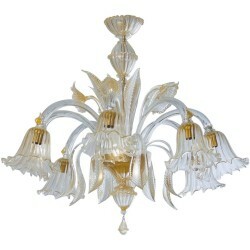 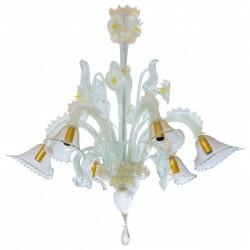 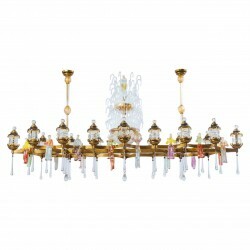 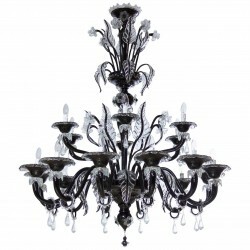 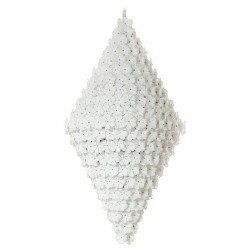 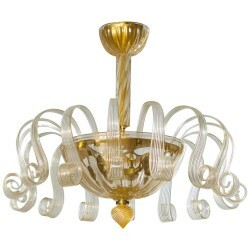 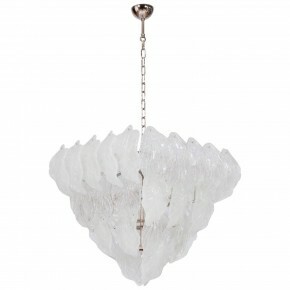 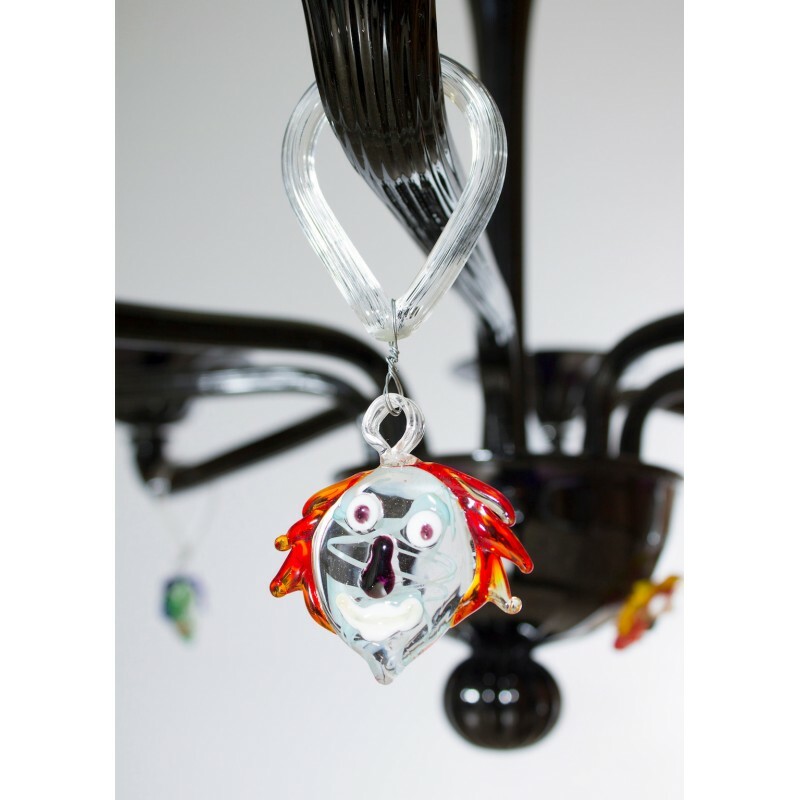 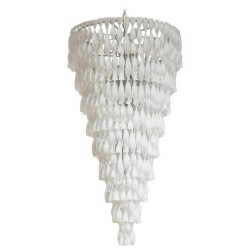 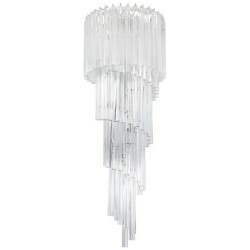 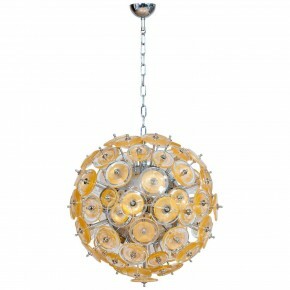 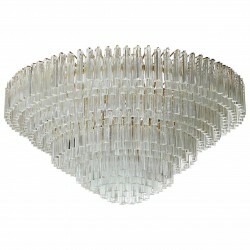 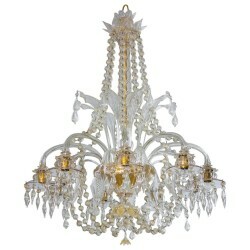 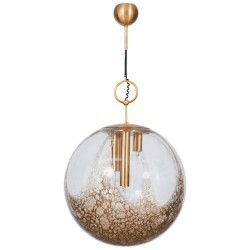 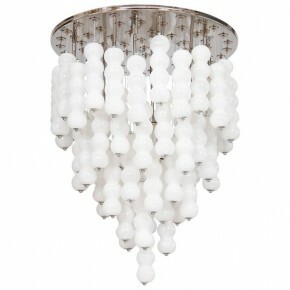 Composed of eight arms with beautiful "Picasso" sculpture pendants. 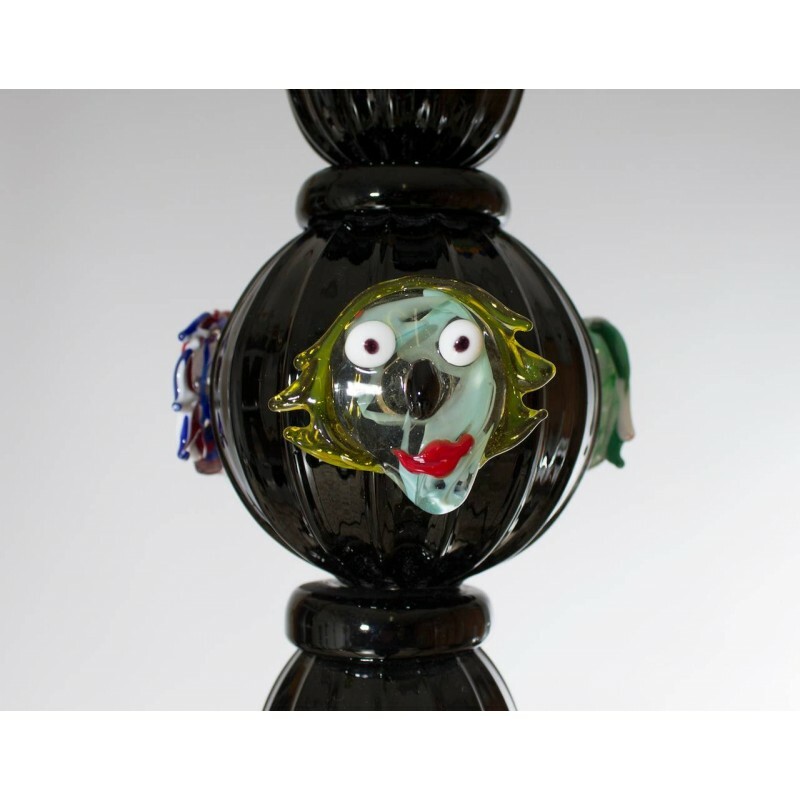 Three "Picasso" sculptures on the lower bowl and on the sphere. 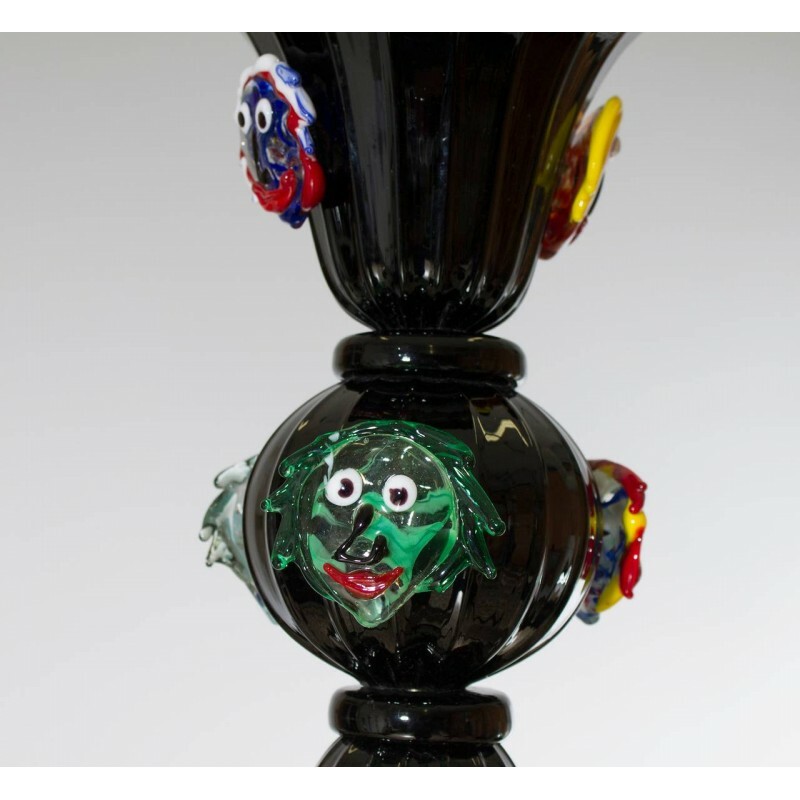 Two other "Picasso" sculptures on the upper cup. 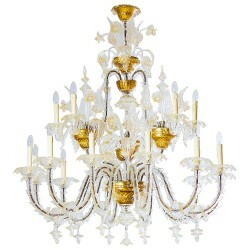 HEIGHT 85 cm / 33.46 in. 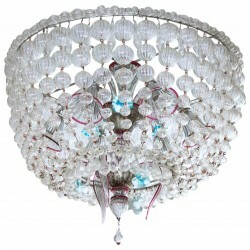 DIAMETER 105 cm / 41.34 in.